IDEC Sport scored its first ever ELMS pole position this afternoon at Paul Ricard, the team’s brand new #28 ORECA 07 Gibson driven by Paul Loup Chatin ending up four tenths clear of the field, after a late 1:41.194. The time came after a red flag halfway through the session, due to the #22 United Autosports Ligier stopping out on the Mistral Straight with Bruno Senna at the wheel. Before the flag, Chatin was already top of the times with a 1:41.523, one of three drivers to set a flying lap before the field was neutralised. 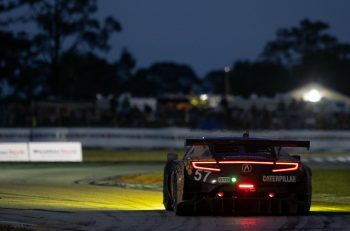 Then, when the rest of the field turned their fast times when the session went green, Chatin improved his time again, and ensured the team would start tomorrow’s race from the head of the field with an lap of 1:41.194 in the Michelin-shod car. 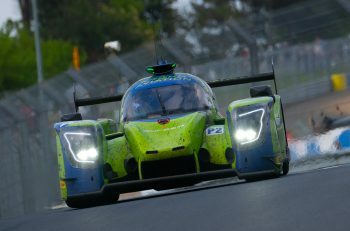 Second in the running was the #33 TDS Racing ORECA 07, Matthieu Vaxiviere pushing the team up the order a 1:41.638, and ensuring a Dunlop runner had a spot in the top two. 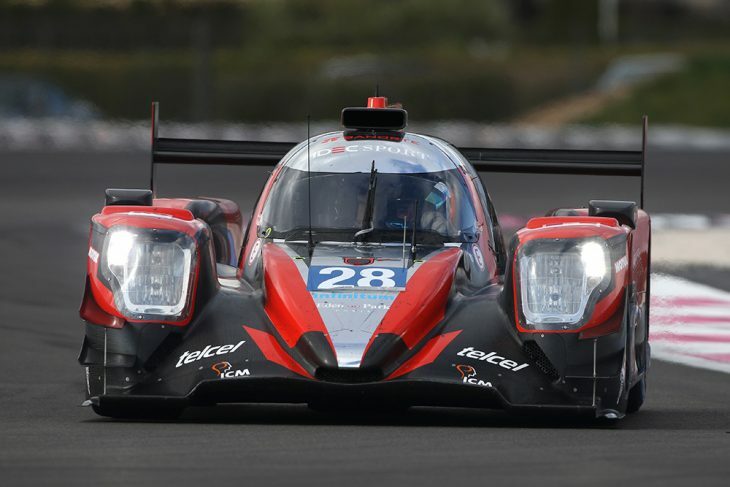 Third, a further three tenths adrift was the #21 DragonSpeed ORECA, Ben Hanley unable to match Chatin’s best time. It was a session dominated by ORECAs, the top six places all taken by 07 Gibsons, the first of the other chassis the #23 Panis Barthez Competition Ligier, after a 1:42.199 by Will Stevens to go seventh. 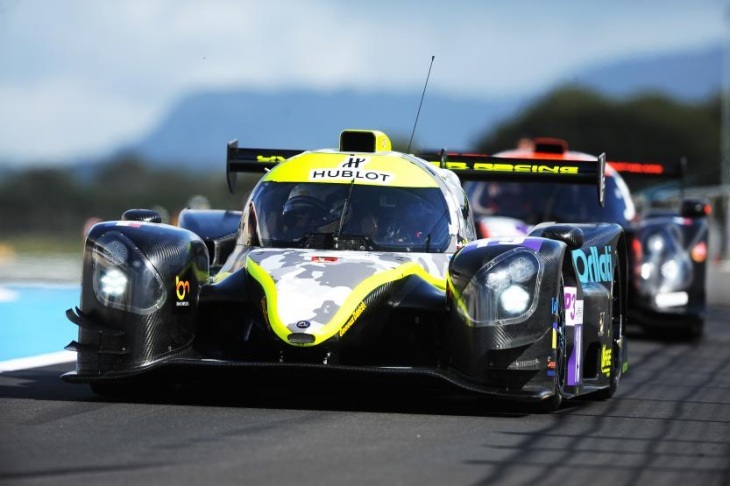 LMP3’s session meanwhile, was extremely tight, the top three drivers within a tenth of each other by the end of the session after a flurry of changes towards the end. After the frantic 10-minute session, at the top of the times was David Droux in the #19 M.Racing YMR Norma M30, Droux taking pole from the grasp of RLR M.Sport’s new star Job Van Uitert, who in turn, had taken provisional pole from Matthieu Lahaye in the Ultimate Norma moments before. Droux’s time was a 1:51.930 in the end, after multiple improvements throughout, and just 0.045 ahead of Van Uitert. Unfortunately though, Van Uitert’s fastest lap was deleted due to a track limits infringement, which pushed the RLR car down to fourth after the session and promoted the Ultimate second and #8 DKR Norma to third. The best time from the 2017 Le Mans Cup title-winning DKR Norma was set by Alexander Toril,a 1:52.104. Fifth on the grid for tomorrow’s race was taken by the fastest of United Autosports’ two Ligiers, the #2 of defending champions John Falb and Sean Rayhall. Rayhall set the car’s best time, but it wasn’t enough to challenge for pole, and was seven tenths off. In GTE, it was Matteo Cairoli who would take pole position in a drama free session for the eight runners in the class. 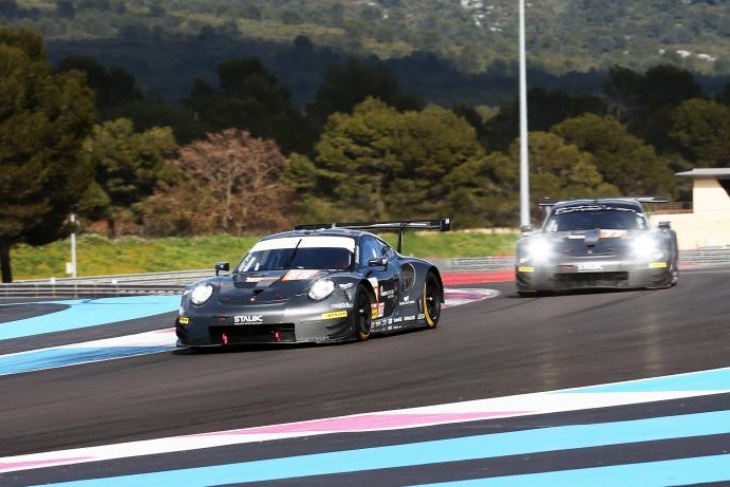 The Italian in the #88 Proton Competition Porsche 911 RSR set a rapid 1:53.377 on his first flying lap to take the place, scoring the team’s seventh ELMS pole position, a record, and its first with the new 911 RSR. Cairoli, beat out fellow FIA WEC competitor Ben Barker en route to the top spot, Barker setting the benchmark at the start, with a 1:53.586, but the British driver was unable to improve when Carioli set his time. Barker, and the full-season FIA WEC Gulf Racing UK team will therefore line-up second. Behind, and over a second off the pole time, was the fastest of the four Ferrari 488 GTEs in the class. JMW Motorsport will start at the head of row two after Miguel Molina’s 1:54.562. The Spaniard was just a few tenths clear of Dennis Olsen in the #77 sister Proton Competition Porsche, which slotted in fourth after a late 1:54.830 by the Norwegian. Tomorrow’s 4 Hours of Le Castellet is set to begin at 12:00 local time in France, and can be streamed live for free on the ELMS website.